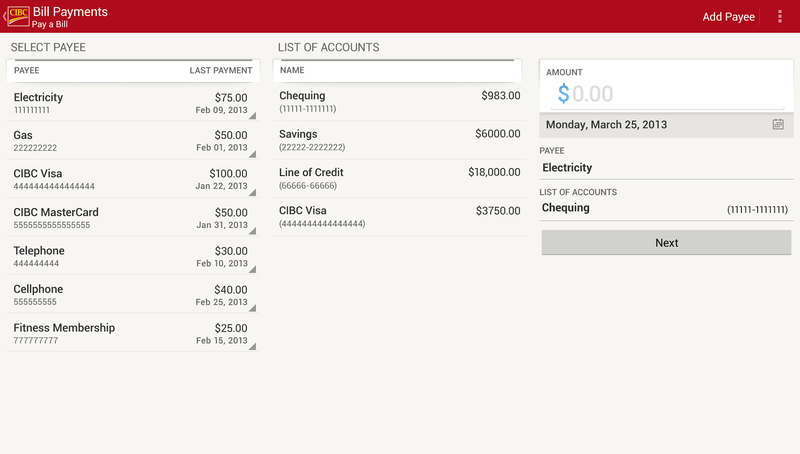 CIBC has pushed out an update to their mobile banking app today for both Android and iOS. iOS (iPhone, iPod touch and iPad) is updated to version 4.5 and now supports multitasking for iPhone users, but the most notable change is on Android, now at version 2.0, as it bring a completely redesigned UI and optimized for devices (smartphone and tablets) running Ice Cream Sandwich or higher. Apart from the usual checking your account balance, transfer funds, finding branches and ATMs, the app allows CIBC customers to load up multiple cards, add an avatar to make the experience more personal, plus offers a ‘slide-out’ menu for easier navigation.